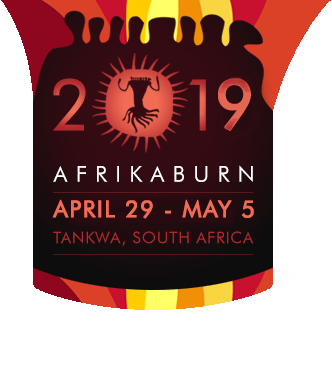 AfrikaBurn is created by a community of participants – in other words: you. There are no barriers to your participation – you’re welcome to get involved at the main event in the desert, or in the many activities that happen year-round. Everything you see in Tankwa Town is created and run on the spirit of volunteering. From the toilets to the Clan, and on to the road signs, the many amazing artworks and spectacular (and humble) theme camps – all of these are a labour of love. In the spirit of radical inclusion, the door is wide open to you, and there are many ways in which you can make a positive contribution to the experience, and the organisation. So, you’d like to participate but don’t know how? No problem – just click on Get Involved below and all will be revealed.